Doubled ended coffin top spray. Typically consisting of Roses, Freesias and Greenery, We are happy to adapt and arrange it to suit your style. 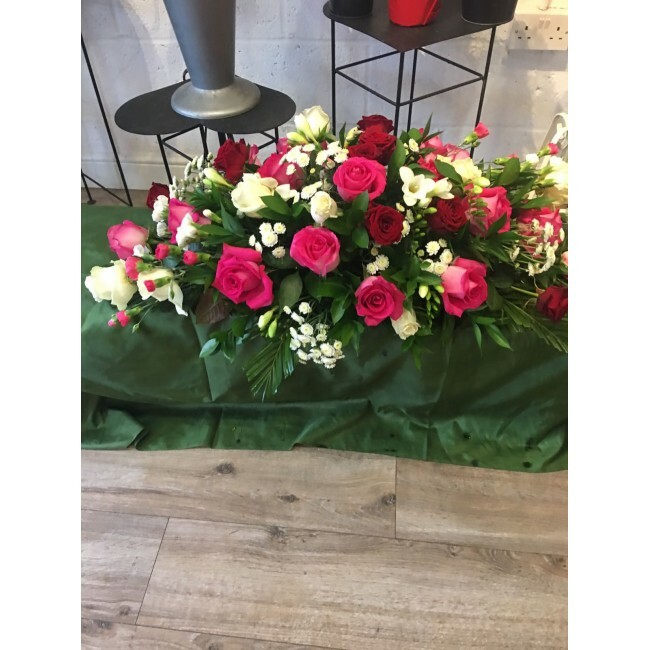 Please call us in store today to arrange your personalised arrangement.